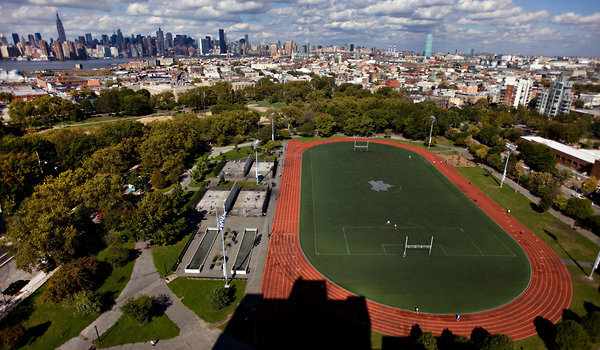 Turf the Slab is here to help build Fort Greene a permanent home field for local sports at long last. The goal is to build a turf field with lights on the unloved concrete slab in Commodore Barry Park, and promote a master plan that includes additional athletic fields and a Mondo track for area runners. Click here to read all about the pitch for a pitch in Commodore Barry Park! 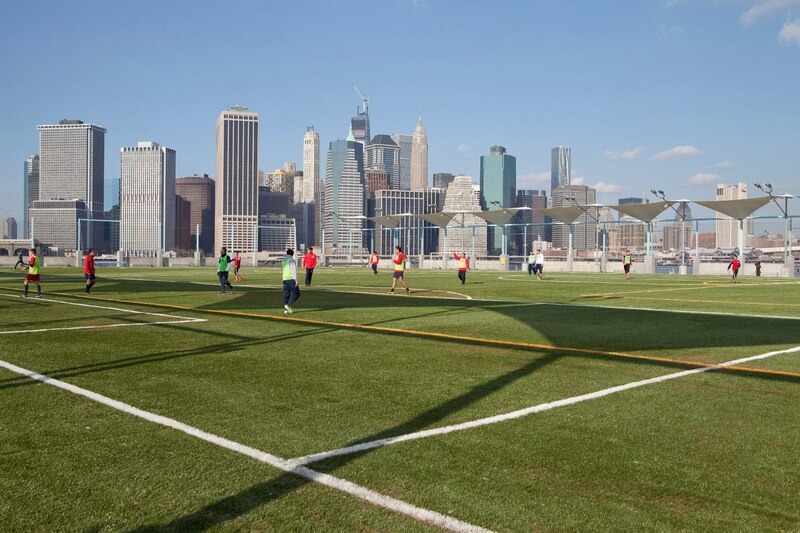 There are so many amazing public sports fields in Brooklyn, from Prospect Park to Red Hook, and now Brooklyn Bridge Park and Bushwick Inlet Park. 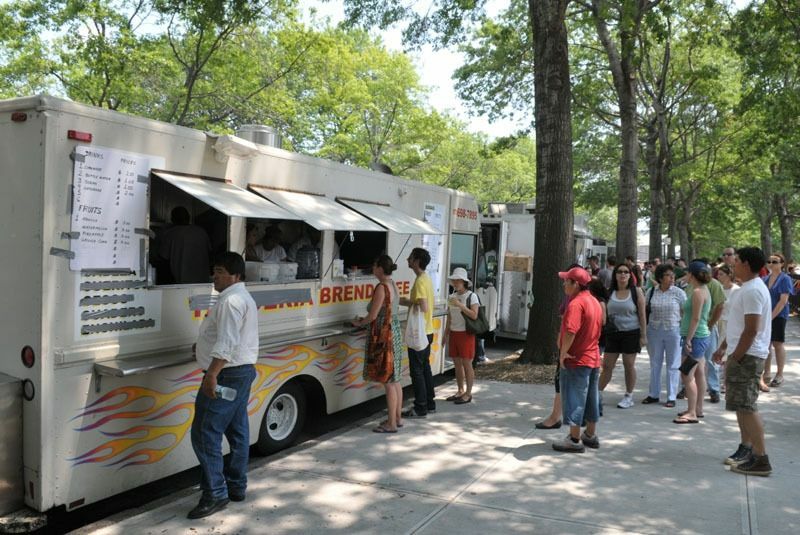 We think it’s Fort Greene’s turn. 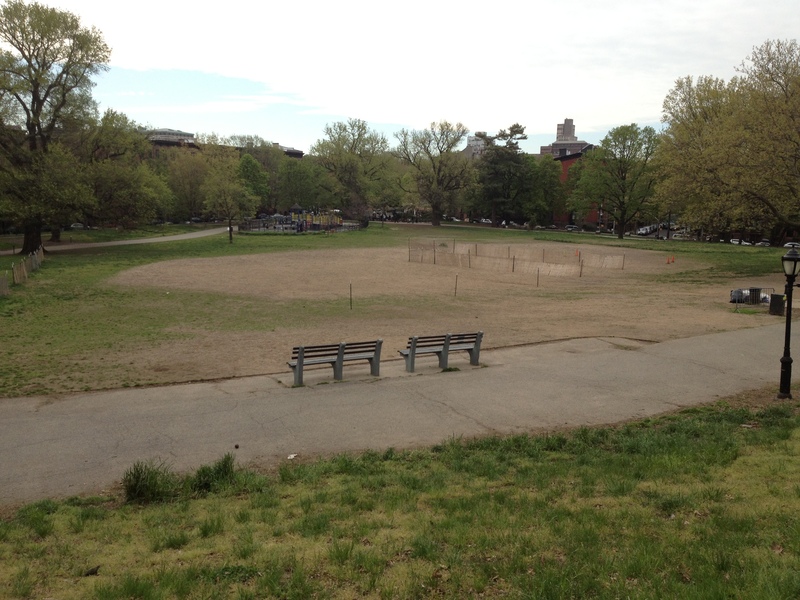 “The Slab” in Commodore Barry Park…a future home field for sports in Fort Greene? 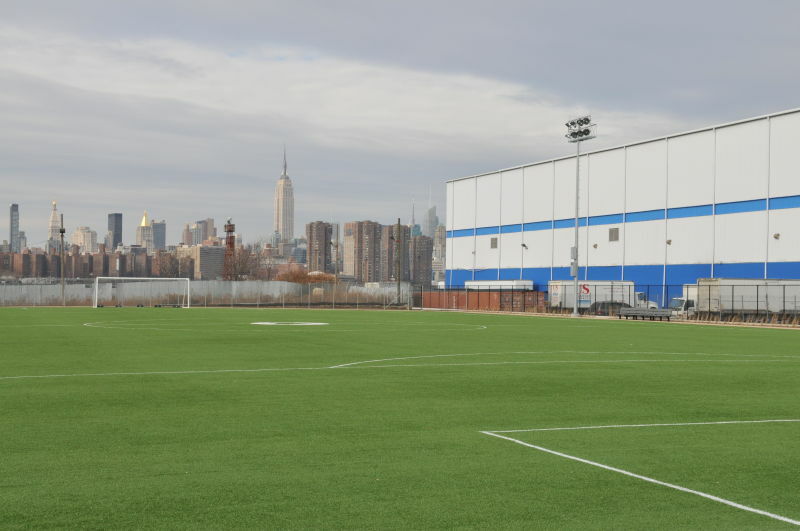 Imagine an official pitch in our own backyard; a community magnet for athletes and fans of all ages, and maybe even food trucks! 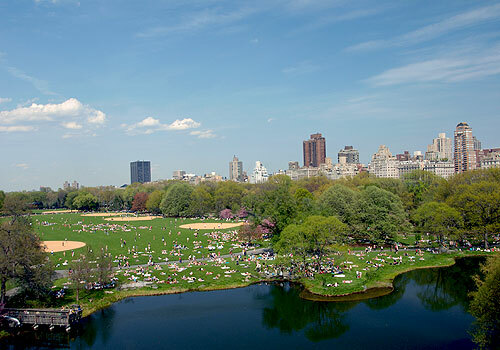 FORT GREENE TRIVIA: Did you know that Commodore Barry is the oldest park in Brooklyn? Originally called “City Park”, it was purchased by the Village of Brooklyn in 1836 and was renamed after Commodore Barry in 1951, owing to its proximity to the Brooklyn Navy Yard that Barry helped found. 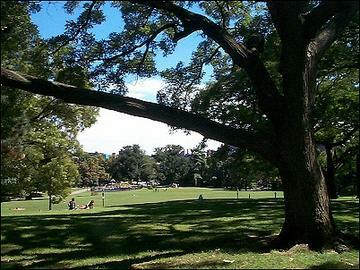 Fort Greene Park, originally called “Washington Park, was a close second dating to 1847. 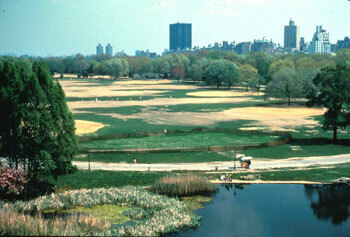 It was named Fort Greene in 1897 when its Olmsted and Vaux makeover was finally completed. 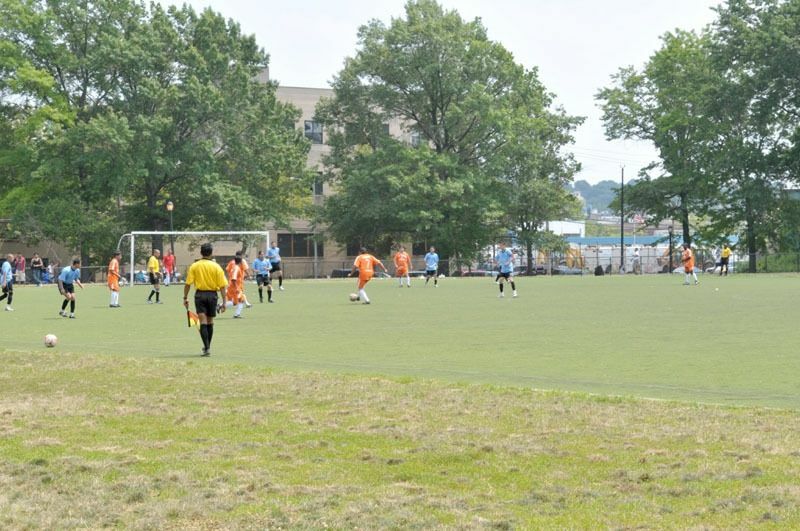 While growing fields and a sports community in Commodore Barry Park is our only priority, we also support efforts to revitalize Fort Greene Park. We are blessed to have two such amazing, historic parks in one little neighborhood, and they both deserve the greenest futures we can make for them. 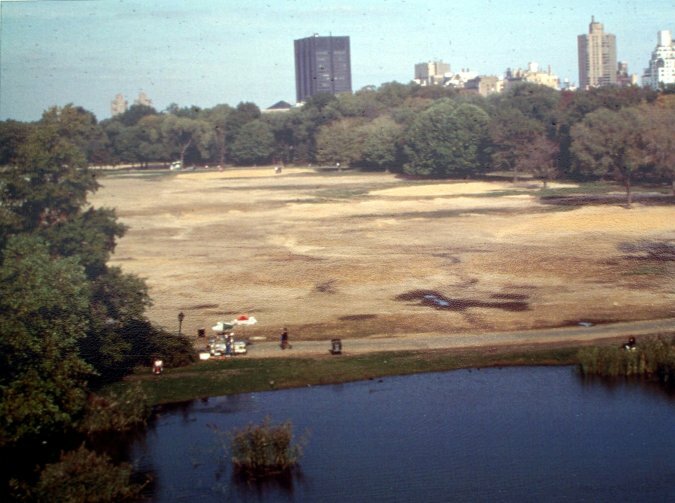 Now that the “Dustbowl” soccer game is over, it is important that Parks be allowed to reseed Fort Greene Park’s oval properly and tackle lingering drainage issues. 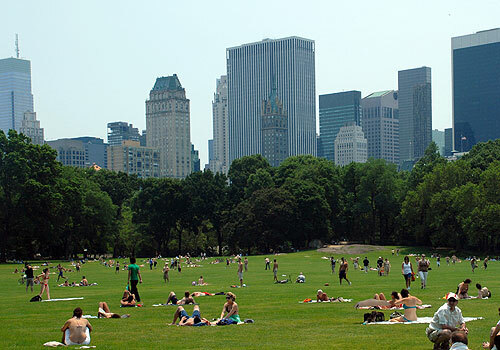 And today a well-regulated Great Lawn is once again a lush green retreat for the public, that also hosts concerts and permitted baseball leagues. It’s time our little oval got a similar chance to come back healthy and green once and for all. We hope to provide you a full Parks department assessment on what that process may require, from re-seeding to proper drainage. When the time comes, we look forward to raising community awareness and support. This is a community movement, so let’s hear from you! This site is a forum to share ideas, information, and resources, so please feel free to comment here. We intend to keep the conversation positive and productive. Angry speech and personal attacks should find other outlets. Thank you for understanding. Now let’s get to work!!! TOTALLY AGREE! LET’S ALL GET OUR PARK TO BE THE BEST IT CAN BE. PLEASE SIGN AND SHARE THIS PETITION…. I do think we’ve got common ground in the call for grass, so I think we should start a conversation there and see where it leads. I’m happy to meet you and discuss solutions anytime you would like. Just say the word! Thanks again! Hi! Just curious, is this initiative still active? Yes, Mindy, it is still active. We continue to seek support from the community. We also hope that the redevelopment of the Navy Yard area will draw attention to our efforts.